Catheters are medical tubes that are inserted in the body cavities, vessels, or ducts to remove fluids, perform a surgery, or treat diseases. Whereas, catheters are mostly used for removing fluids by inserting in body cavities, particularly the bladder. These flexible tubes play a very significant role for aged people and patients with medical conditions that impairs the ability to urinate. Connected to the drainage bags, these tubes are made up of materials such as rubber, plastic, silicone, or latex. One of the most prominent risks associated with infections, is being eliminated due to technological advancements and innovations applied by manufacturers. Increasing prevalence of neurovascular disorders such as chronic kidney diseases (CKD), stroke, cerebral hemorrhage, dural arteriovenous fistula, arteriovenous malformation, and aneurysm has escalated the demand for catheters to perform minimally invasive surgeries. The use of catheters in minimally invasive surgeries leads to a shorter hospital stay, less scarring, and minimal post-treatment complications. Hence, the rising number of surgeries and the increasing demand for minimally invasive procedures are anticipated to bolster the growth of the global catheters market. Owing to the high disease awareness levels and quick access to healthcare facilities, the North American market is expected to grow swiftly in the future. Whereas, the increasing geriatric population and projects initiated by the governments to enhance healthcare infrastructure may stimulate the adoption of catheters in the Asia Pacific region. Higher prices and inadequate quality assurance are likely to hamper the growth of this market. Nevertheless, advancements in technology and an increase in reimbursement levels are anticipated to drive the progress of this market in the future. With technological innovation in full swing, the global catheters market is envisioned to rake in a mounting demand as the risk of infections associated with catheters is being comprehensively dealt with. One of the breakthrough initiatives in this regard is the phase II study of urinary Foley catheter by Sharklet Technologies which received a funding of US$1.2 million by the National Institutes of Health (NIH). 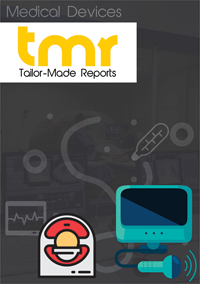 The demand in the world catheters market is prognosticated to ride on the timely boost received through the surge in minimally invasive surgeries for operational, monitoring, and diagnostic purposes. This surge could be ascribed to the development in technology which caused the shift to minimally invasive procedures from traditional methods. In respect of the advantage of minimal complications post the procedure, less scarring, and shorter hospital stay, minimally invasive treatments are considered to be a cost-effective option compared to open medical procedures. The global catheters market is also anticipated to gain impetus from the ascending demand for digitally assisted invasive interventions. The advent of bio-absorbable stents and hydrophilic coated guidewires is predicted to make its contribution toward the growth of the world market. As the prevalence of diseases such as chronic kidney disease, neurovascular disorders, stroke, and cerebral hemorrhage increases, the need for highly complex minimally invasive surgeries is predicted to augment, thus providing a crucial uplift to the market. A 2017 study published in the BMJ Open journal has precisely shed light on the national budget impact analysis and cost-effectiveness of hydrophilic coated catheters compared to the uncoated catheters. The analysis procured over a five-year period is deemed to provide assistance in the efficient management of bladder dysfunctions as it significantly evaluates the impact of intermittent catheterization. The findings offered by this study are also expected to help policymakers examine intermittent catheterization in spinal cord injury patients. Noble metal alloy urinary catheters are making headlines with their ability to produce the desired result when dealing with catheter-associated urinary tract infection (CAUTI). Published late in 2016 in the Urol Ann journal, a study has revealed the efficacy of noble metal alloy urinary catheters in curbing CAUTI and other related infections such as catheter-associated asymptomatic bacteriuria. The result showed a significant reduction rate of CAUTI in ICU patients after using the catheters for only three days. Most importantly, there were no adverse effects observed with the use of any of the catheters. The Asia Pacific region is foreseen to stimulate the growth of the world catheters market by accounting for a growing share until the concluding year of the forecast period. As the disposable income of patients and their awareness regarding the different types of catheters see a rise, Asia Pacific could be in a better position than ever. Nonetheless, the real growth factors are the elevating presence of healthcare practitioners and upgrading healthcare infrastructure. Countries such as China and India are witnessing a pronounced rate of penetration on the part of neurovascular and urology catheters. North America, on the other hand, is slated to exhibit an upward growth trajectory on the back of aggressive advancements in technology, quick healthcare access, and high awareness of various diseases requiring catheters in their treatment. While the international catheters market could see prominent players such as Medtronics, Inc., Johnson & Johnson, and Abbott Laboratories on the move, there are other vendors which are making their presence known. With its sturdy product portfolio and distribution network and strong local presence in the Europe catheters market, Coloplast is anticipated to secure an impressive share in the region. North America, on the other hand, could witness dominance exhibited by Boston Scientific Corporation on account of its high market penetration and sweeping regional presence. However, the global market could be influenced by a host of both local and giant companies.